Jodi Stein is a partner in Herrick’s Land Use & Zoning Group. 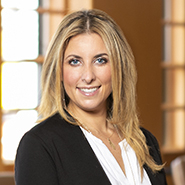 Jodi has significant experience representing real estate developers in obtaining discretionary land use approvals through New York City’s Uniform Land Use Review Procedure (ULURP) and before the Board of Standards and Appeals. Jodi also advises clients on the zoning and land use aspects of Qualified Opportunity Fund investments, and in obtaining approvals or resolving issues that arise during the development and construction process. She frequently appears before the New York City Department of City Planning, Department of Buildings and Department of Housing Preservation and Development, as well as the Landmarks Preservation Commission, City Council, Department of Transportation, local community boards and other city and state agencies. Prior to joining Herrick, Jodi was vice president of acquisitions and development for one of the largest privately-held real estate companies in North America. In that role, she was responsible for growing the company’s $2 billion development platform in New York City, Miami and Los Angeles. Jodi worked on obtaining all approvals for all their new development projects — advising on acquisition and pre-development; directing and overseeing all discretionary and government approvals; forging relationships with community leaders in each city; and working with architects, general contractors, subcontractors and environmental consultants through the various development phases of each project.